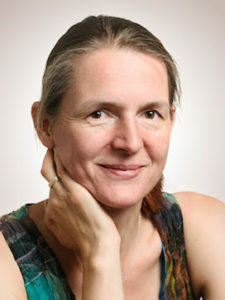 Bettina van Hoven is Associate Professor in the field of Cultural Geography. She works at the University College Groningen and the Faculty of Spatial Sciences, both at the University of Groningen (the Netherlands). She studies the role of place in the wellbeing of people, in particular marginalised groups. In doing so, she explores the experiences of place, feeling ‘at home’, the mechanisms of in- and exclusion in the social and physical environment, as well as ways in which people engage in the protection and improvement of ‘their’ place. Her research approach is characterized by a qualitative methodology, for example using (walking) interviews, and visual data. She aims to engage both academic and non-academic audiences in the dissemination of data and draws on arts-based methods to achieve this. (Urban) Planners, policy makers and educators persistently undervalue and underutilize the range of diverse experiences that need to be considered in creating inclusive spaces. One of the groups that remains suspiciously absent from public spaces comprises people with disabilities. People with disabilities often experience both physical and social barriers to using urban spaces in the form of lack of transport, lack of appropriate access to public buildings and facilities, but also negative stereotyping. As a result, there are few opportunities for meaningful and positive interactions between able-bodied and impaired persons in public spaces. This is a matter of concern and should be a matter of priority when developing ‘inclusive cities’. The project ‘Break Out’ is an innovative, transdisciplinary student research project on in- and exclusion in urban spaces. The project entails collaboration between the University College Groningen, De Noorderbrug, an organization that provides care and housing for people with acquired brain injuries, and Art Academy Minerva, both in Groningen (the Netherlands). Students work in teams of three, each with one arts student and one client from Noorderbrug on a project on experiences of in- and exclusion of people with disabilities. Not by addressing the issue from a classroom-distance but by sharing experiences in the real world. The purpose of the project is for students to research an important societal matter (that of in- and exclusion) in a transdisciplinary and experiential way. Students learn to apply novel and innovative participatory research methods and translate results to a broader audience including academics, policy makers and the general public. The project is concluded with a photo-based exhibition at the Noorderbrug and the University College. In addition, the research will be documented and presented on a website by Noorderbrug. Students will present at an international Geography conference and write a draft article for an academic journal. At the University College Groningen, I work in an environment that encourages learning drawing on collaboration and creativity. Working in interdisciplinary, societal projects, students learn about complex issues adopting various disciplinary and methodological perspectives. Facilitating and guiding students in these projects attracts me to working in Liberal Arts and Sciences. My background in Biology and Geography sometimes places me outside disciplinary boxes, yet LAS offers precisely the space to further develop ´cross-pollination´ of insights, concepts and methods between sciences with the purpose of both blending and challenging. The Break is designed to do precisely this and, in addition, to engage different stakeholders outside of academia.